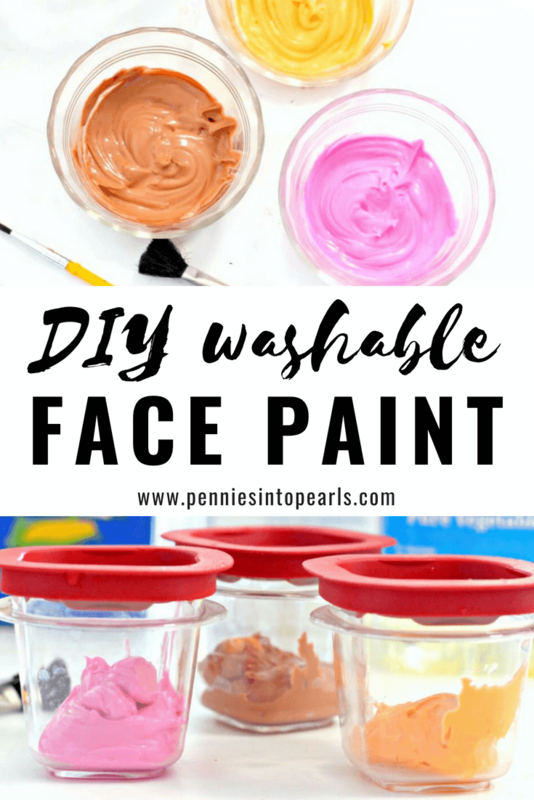 Turns out it is crazy easy to make your own face paint! So that is exactly what we did! And because I have to share everything with you guys that I find that might make your life easier, here ya go my loves! Start by mixing together the cornstarch, lotion, and 1 Tbs. of vegetable oil. You might want a little thinner consistency then what we ended up with. If so, add a little more oil. Test the consistency of the paint by painting a small portion on the back of your hand. Let it dry. If it feels super dry and cracking, add more oil a little at a time to the mixture. Now start mixing in small drops of paint to the mixture until you get the color you want. That’s it! Who knew it was so easy to figure out how to make face paint? Chances are you have all the ingredients in your kitchen right this minute! I really wish my hubby was home to do this part! He is a much better artist then I am. We were going for a cheetah look here… Can you tell? But guess who didn’t really care? This kid LOVED having his face painted! This face paint stores really well in an airtight container. So if your family is like ours and has several occasions for face paint this week, this recipe will keep you covered! Hopefully this post is helpful in your moment of mommy crisis! Or it’s actually just a super fun at home activity to do with the kiddos next time you get bored. Ah I can’t wait to try this! Did it end up washing off ok?? Hi Amber!! Yes it comes off super easy actually! It was so much fun! 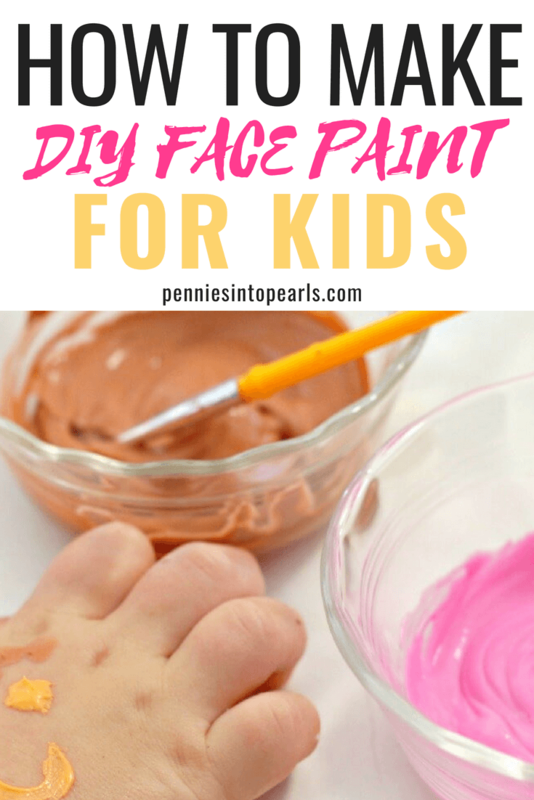 I can’t believe how easy it is to make face paint! I love using face paint during parties or playing with kids. I’m definitely trying this out. By the way Brittany, how long is the storage for it? Thank you! You are so welcome! I’m not sure how long it stores for. So far I have saved ours for up to one week and it still worked just great!